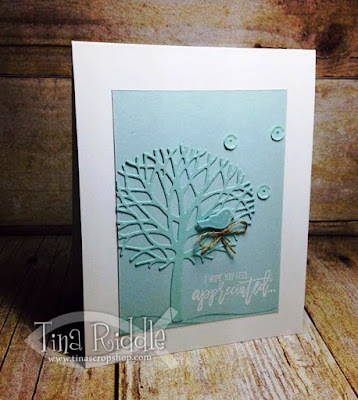 Tina's Crop Shop: Thoughtful Branches Love! Wow! Two posts in one day never happens! lol I just realized that I had made a card with Thoughtful Branches that I hadn't shared. I just LOVE this bundle and I hope that they bring it back to the next annual catalog but for now, it is only available in September! If you don't have it, please don't pass it up! There are sooo many possiblities! 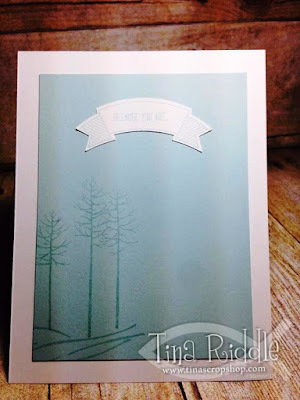 This was just a super simple Tone on Tone card that was super fast and I really love it! That little bird is just adorable!